Life Fitness Activate Series elliptical cross-trainer changes way of exercising by making an intense cardio workout an enjoyable one with low-impact also. This elliptical cross trainer also burns more calories with less perceived exertion due to smooth, total-body motion. Such a highly durable, reliability-tested cardio equipment makes the most of any space and helps exercisers dreal its fitness goal fast. Lifepulse™ digital heart rate monitoring hand sensors are conveniently placed on the bullhorn handlebars to provide accurate heart rate monitoring and Polar® telemetry provides hands-free heart rate monitoring when used with an optional chest strap. Oversized pedals allow exercisers to adjust their foot position for maximum comfort and are spaced 3” apart to minimize lateral hip shifting and reduce lower back stress. ToughTrain 3.5 out of 5 This elliptical has numerouse useful as well as attractive features but comes in a very higher price. Can be a best buy if bought in some more discounted price. *Note: Most of the sites, stores or shopping portals listed above sell Life Fitness Activate Series Elliptical Cross-Trainer with discounts and other exciting offers. There is a possibility that the some of above websites are not selling Life Fitness Activate Series Elliptical Cross-Trainer now. Toughtrain.com is not liable for such cases or instances. 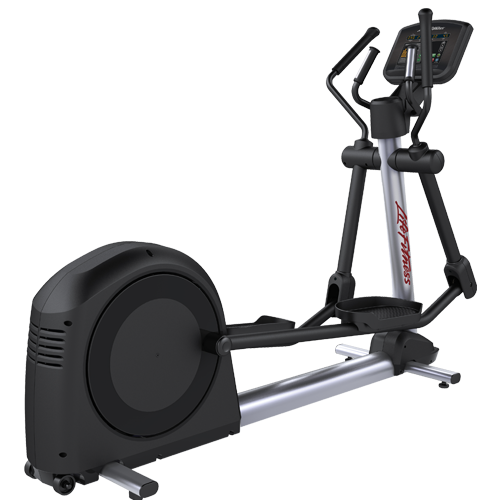 Also we do not recommend any seller for Life Fitness Activate Series Elliptical Cross-Trainer and a buyer should buy from where he/she gets best deal with quality of products, service and on time delivery (shipment).